Make the most of your bird feeding funds with the foods that birds prefer. You can also attract and feed the birds you want; while deterring starlings, grackles and squirrels that would otherwise dominate a feeder. Each of our blends is selected to meet the regional and seasonal needs of our birds. Combine that with no shells and no fillers and you get the biggest bang for your bird feeding buck. 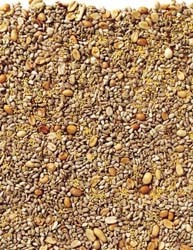 Our unique No-Mess Blend Low Millet bird seed, pound-for-pound, is a better value. With its sunflower chips, hulled white millet and shelled peanuts, you do not pay for the weight and volume of shells or undesirable ingredients. The birds eat everything. No-Mess Blend Low Millet works great in hopper, tube and tray feeders and can be placed near flower beds, patios and decks. Birds and mammals, like squirrels and rats, taste foods differently, especially Hot Pepper products. Birds cannot taste the "heat" associated with foods coated with pepper like cayenne or habanero. Mammals, with different taste receptors in their mouths, can. So birds can safely eat our Hot Pepper foods that the rodents will avoid giving you another way to offer good quality food that you know your birds will get to eat! 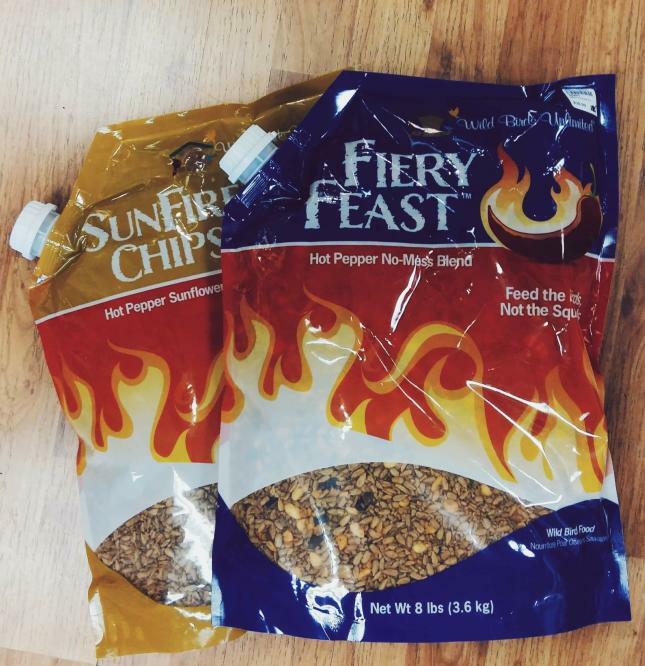 Hot Pepper is available in Bark Butter, Suets and now in our new Fiery Feast seed blend. 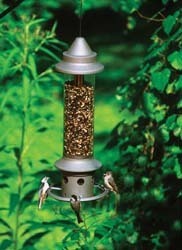 Guard your bird food with an On-Guard™ cage for your feeders. The wire mesh is the right size to deny starlings, grackles and squirrels access to the precious bird food. Smaller birds are able to fly in through the mesh and eat, even Downy Woodpeckers. 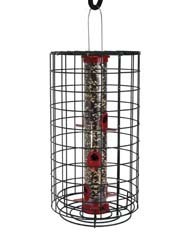 We carry cages for seed tube, peanut and suet feeders. Protect your seed from blackbirds, larger birds and squirrels. Our Eliminator™ feeder has a unique technology that closes the seed ports when there is too much weight on the perch ring. When a larger, heavier bird or too many birds land on the perch ring, their weight closes the seed ports. The Eliminator’s unique technology allows you to set the sensitivity level to close when one or more starlings land to feed.